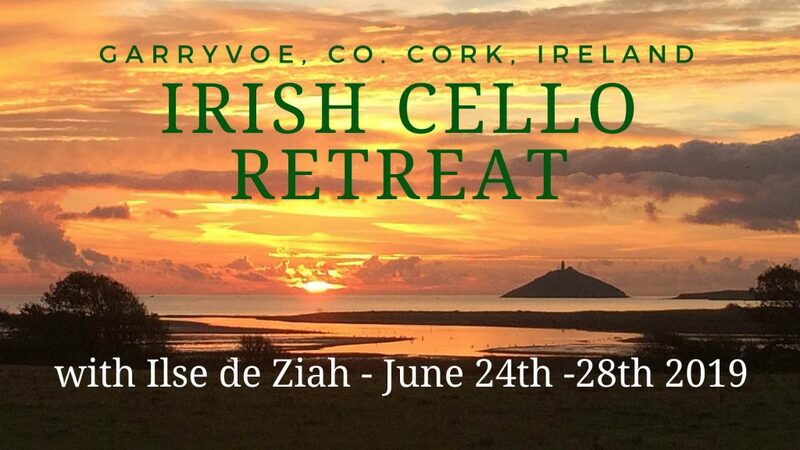 Are you ready to spend quality time with your cello in a peaceful Irish setting and take your cello playing to the next level with new tunes and skills, in a fun and supportive environment? This site has sheet music for solo cello that you can download. Video tutorials, string quartet arrangements and books for download also available. I am a professional cellist living in Ireland. I have performed all these arrangements live and have enjoyed a great reaction to them. Payments are via PAYPAL or credit card. After you buy a product that is available for download you will immediately be sent encrypted download links via email as well as immediate redirection to a thank you page that contains the links. The links will be encrypted and are valid for 24 hours. You can support me on Patreon and you will be the first to receive new arrangements and can make suggestions about what you would like me to arrange. Become a Patron! On the edge of our town in County Cork, by the marshland, is a beautiful feather statue which was created by local artist Alex Pentek, commissioned by the town as a thank you to the Chocktaw Nation people who 170 years ago, in a time of their own suffering, donated $170 to Ireland during the famine.Read more…..
Trad on Cello is a collection of twenty Irish traditional session tunes with a guide on how to play them. Loosely graded from easy to difficult, the tunes are arranged in groups or ‘sets’ of two or three, designed to be linked as is the custom in traditional Irish sessions. Read more…..